My favorite polish carrier has gotten some great new polishes! Color4Nails carries many independent and larger brand polishes that are hard to find. OPI DS polishes are notoriously difficult to come across because they are more expensive than regular OPIs and they are infused with diamond dust. 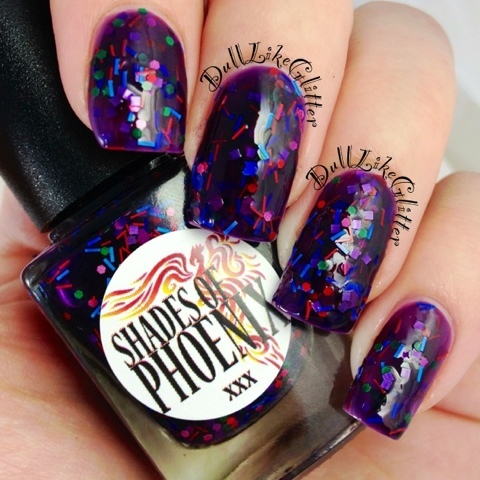 Shades of Phoenix polishes were unavailable if you lived outside of Australia, but now that Color4Nails has them you can order them and she will ship them to you anywhere! OPI DS Extravagance has been on my lemming list forever and a day. 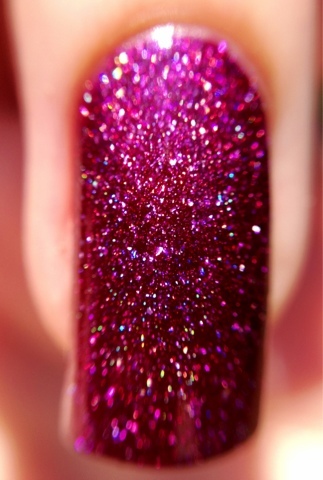 This scattered holo is a deep raspberry shade. This polish applied like an absolute dream. The holo is gorgeous in the light. This image shows the first two fingers slightly out of focus so you can get a feel for the twinkling glitter effect! 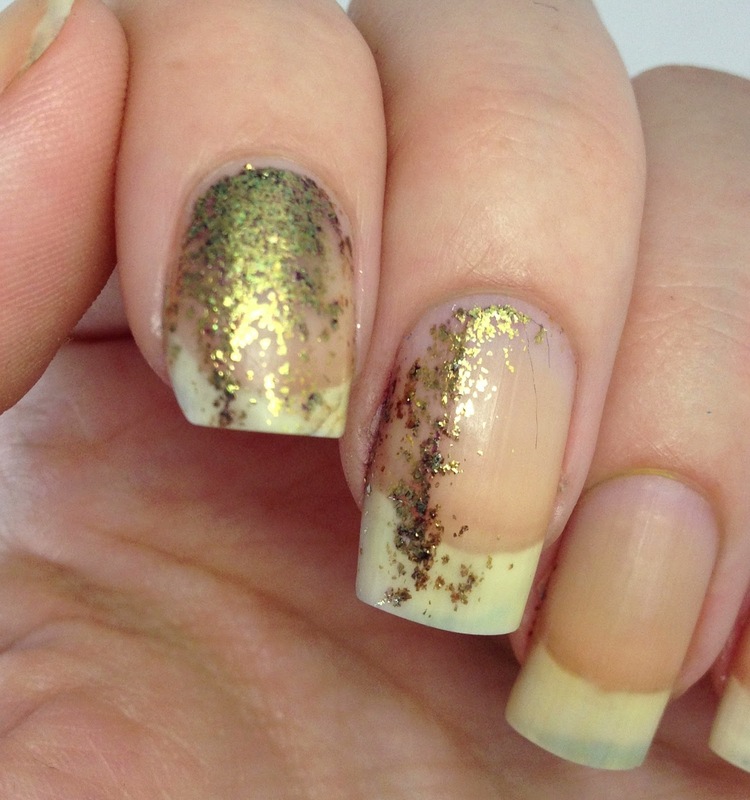 The holo creates a rainbow as you move your nails. Extravagance may have just shot to the top of my favorites list! OPI Mystery is an inky violet. 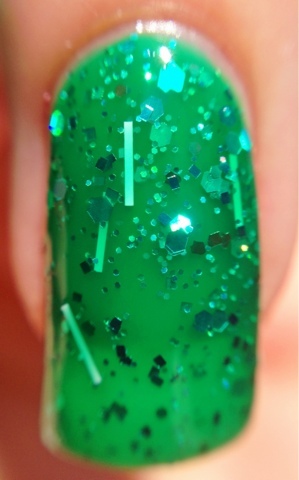 This polish branches away from the typical DS polishes in that there is no holographic glitter in this. Instead, Mystery contains gold iridescent flakeies. The flakes catch and reflect light beautifully. This formula was again fantastic. Two coats gave me even full coverage. I got all types of colos reflected back at me from the flakes! What was really fun to see was the removal process! After I had rubbed my nails with some cotton balls soaked in polish remover the polish came away quickly, revealing all these packed gold flakes. I was very excited to swatch these Shades of Phoenix colors! Tenile, their maker, has been friends with me for awhile now and we used to chat before she even created her own indie line. I'm so happy to see her doing well and I'm psyched her polishes are available in the US now! The newest Shades of Phoenix collection is 'In the Beginning' inspired by greek mythology. Poseidon is a tribute to the god of the seas. Poseidon's base is an emerald sheer green that gets darker the more you layer it. It is filled with blue hexs, white bars and emerald glitters. This jelly sandwich in a bottle reflects light beautifully. 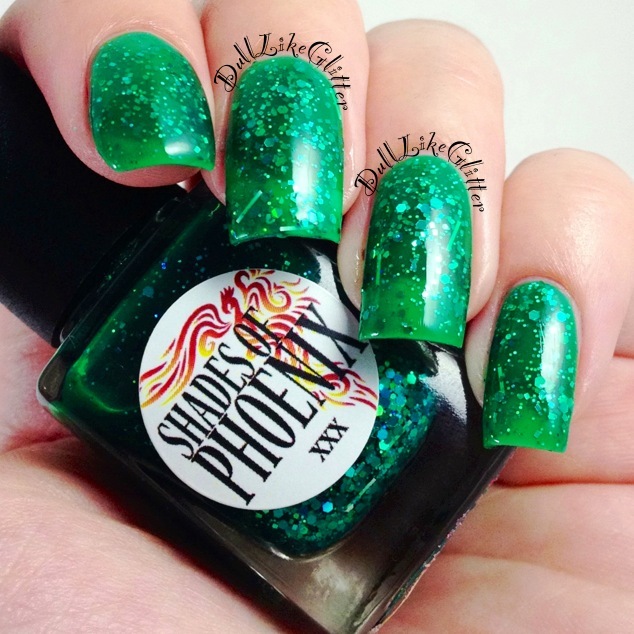 It is versatile with it's sheer base so that you can layer it over other colors or use a few thick coats like I did here to trap the glitter in a sea of green. The formula was easy to use and the glitter was very easy to get in every brushstroke. What is in the water over in Australia? All these amazing polishes come from the land down under. Dionysus is inspired by the god of wine and partying! Dionysus has a deep violet sheer base that becomes opaque when layered. It is full of celebratory glitters in different shapes of bright blue, pink, orange, red, green and purple. The glitters are matte so you will get more color here and less of a light reflection as in Poseidon. The formula was the same pleasurable application as Poesidon. I got a variety of glitter in every brushstroke. Because of all the glitter in this polish I would suggest a top coat to make sure your nail is smooth. 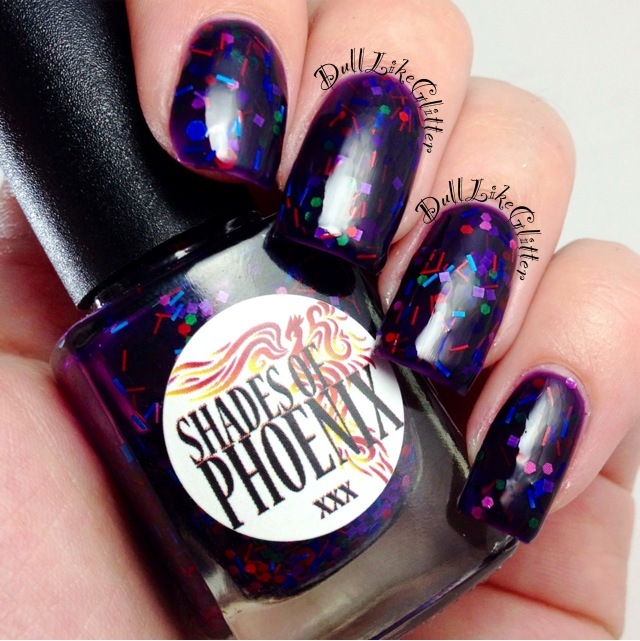 Shades of Phoenix is not available directly from Tenile unless you are in Australia since Australian mailing regulations are so strict. If you are interested in these gorgeous polishes, mosey on over to Color4Nails and check out the photo albums to see whats available. She ships worldwide and has a great variety. When you've figured out what you want to order just send an email to color4nails21@gmail.com or send her a facebook message. All the polishes swatched here are available! WOWEE. OPI Extravagance is amazing! And I'm so glad for Teneil that her polishes are now available to people outside our lovely country :D haha. SoP is definitely in my top 3 fave indie brands.